Abderrahim Ajarif is from Sidi Slimane. He received a Bachelors degree in History and Civilization from Ibn Tofail University of Kenitra. He continued his involvement in various activities including Model United Nations. In August 2016, he attended a Model UN training in Azrou as a trainee. Following the summer training, he facilitated the Model UN club in his hometown. He also helped to start and facilitate the Project Soar program in Sidi Slimane, along with two other volunteers. These programs have significantly benefited participants. They have also allowed Abderrahim to develop on a personal and professional level. ​Ilias BELHOUSS is 27 years old from Casablanca. He received his diploma in socio-education. Currently, he is preparing his BA final project in psychology, from the University of Hassan II. He is passionate about the associative field, especially extra-curricular activities. He enjoys music, singing, sports and cinema. Boukchouch Soukaina, born in Rabat 26 years ago, is an activist and junior expert in environment and sustainable development. She obtained her Masters degree in Environmental Law and Sustainable Development after a Bachelors degree in Finance and Banking from Mohamed V University of Rabat. Her passion in social impact, capacity building and development has pushed her from a young age to engage in associative activities as a volunteer and serve as a junior volunteer with the A.M.S.I.P association for abandoned children. She is an active member in several local associations in the south of Morocco. In 2016 she had the opportunity to be part of the mobilization committee during the international events COY 12 and COP 22. She is Co-Founder and Treasurer of Atlas for Development NGO. She works on women empowerment and youth, sustainable development and improving the culture of volunteering as third main axis. Professionally, she worked as a consultant in local development project management with different organizations (GREPOM/BirdLife in Morocco; EXVIVO solar cluster, IFED Rabat) in the regions of Laarache and Oued Zem. Saâdia Dinia is 28 years old. She holds a Masters in International Relations and Diplomacy, and a Bachelor in Communication Studies from Al Akhawayn University in Ifrane, Morocco. For her graduate thesis, Saâdia conducted a year of ethnographic field work at the Moroccan-Spanish frontier. Saâdia’s volunteering background mostly revolves around teaching and event organizing activities at her university and beyond. Her international exposure includes: completion of coursework at Haverford College (USA), Quaid Az-zam University (Pakistan), and most recently at Rochester Institute of Technology (Kosovo) as part of its Summer School in Conflict Resolution and Peace Building. She also participated in academic conferences, the last one being the International Studies Association (ISA) Annual Convention in New Orleans. Saâdia’s most recent experience abroad yet remains as an AISEC intern in Rajasthan, India. She enjoys documentary film making, photography, literature, writing, and hiking. Mama Diop was born in Mbacké, in the region of Diourbel in Senegal. He graduated in 2010 from Gaston Berger University in Saint-Louis. His first three years led to a degree in Language, Literature and Civilization of English speaking world. This first university degree gave him the opportunity to earn a place in a professional Master of Engineering in Local Development in 2013. His interest in local development is reflected in awareness-raising actions toward the youth within social network. He conducted an internship in monitoring and evaluation at the Diourbel Regional Development Agency. He had the chance to visit many parts of the country and meet different communities as part of an impact evaluation of an educational project. Mama joined CorpsAfrica/Senegal in 2016; he spent a year in a Senegalese rural zone to identify community problems and find solutions through the implementation of a project. Since March 2017, Mama Diop has been working as a junior consultant in charge of NGO relationships at a Consulting Firm based in Senegal. Amal El Messaoudi, 25 years old, was born in Chemaia-Youssoufia. She lives in Marrakech. She got her BA degree in engineering of Web networks and computer security at the University of Sciences in Marrakech. She has participated in several community activities. She is very passionate about the social work . ​Mustapha Elammaoui, 25 years old, is from Ait Toumi Lhaouz. He received his diploma in maintenance technician IT support and network in ISTA NTIC Sidi Youssef Ben Ali. He has two certificates from CISCO: CCNA1 and CCNA2. He also had a training of four months with Electro-Mila /Marrakesh. He joined CorpsAfrica/Maroc because he loves to help others and to learn more about people from different backgrounds. Mostafa Essalai, 26 years old, is from Sidi Slimane, Morocco. He has studied business management. As for professional and voluntary work experiences, he occupied the position of Language and Cultural Tutor for Peace Corps volunteers and facilitator in several Peace Corps programs and curriculums. He also served as an Exchange Volunteer with CorpsAfrica/Malawi Group 2. He recently graduated as an African Union Youth Ambassador 2018. ​Hasna Farid, 23 years old, is from Tata and grew up in Mohammadia, Morocco. She received her diploma in civic engineering. She moved to Rabat in order to finish her studies and received a certificate as a control agent in building. She also worked as an investigator at agriculture register in the region of Eljadida. She is passionate about helping others and wants to leave a positive impact on her community. ​Abdelghani Lahjaji, 30 years old, is from Bouarfa, Morocco. He received his baccalaureate in 2009 to join the University of Mohammed the first Oujda in order to continue his studies, specializing in English. He is active in social work since 2004 in Dar Shabab and other NGOs. He believes that volunteering is “a way of life” and is a former Volunteer with Corpsafrica. He served in the region of Ahl Sous Aguadir and accomplished his service with a successful project and came back this year to give and learn more from the experience. Abd Elbassate Lahmidi is 25 years old. He was born in Kalaa of the Sraghna and is living now in Ourika. He is a Socio-Educative Agent, graduated from Central Kassba, Marrakech. Abd Elbassate has carried out various internships in structures working in the social field and more particularly, in the care of people with reduced mobilities and abandoned children. Since 2009, he has been a scout after receiving various training courses in this field. This scouting activity gives him the opportunity to participate in many socio-educational activities in different areas in Morocco. Mustapha Lamriss, 24 years old, is from Marrakech. He received his diploma in network maintenance and has a certificate from HP: HTML and CSS and a certificate of CISCO. He specialized in data processing and network problem solutions. Mustapha is the founder of SOHA Company. He accomplished two internships in the prefecture of Marrakech. Nahal Souad from Tiflet, is 26 years old. Recently she completed her master’s degree thesis on translation in "Verbal and Visual Semiotics." She received her BA in English Studies option literature stream. She loves challenging experiences and wants to learn more about social work. 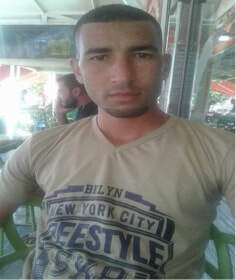 Abdelhamid Ouchbab, 32 years old, is from Errachidia, Aoufouss. He received his diploma in network data processing, IT network, and cooking. He joined social work along time ago through activities in Dar Chabab. He likes to help others and to be open to other nationalities and cultures. Fatima Zahra Souhal is from Marrakech, she got her baccalaureate degree in 2014, and then she continued her university studies and obtained a BA in English studies. As a professional, she worked as a teacher at a private school in Marrakech and also at a hotel. Fatima Zahra has a great passion to discover new lifestyles and to learn new skills from social work.